This E-book is available to members of the National Home School Association. Please either download the free preview below or log-in to access the download of the full book. The right to choose how to educate your children is about the only right left to you. 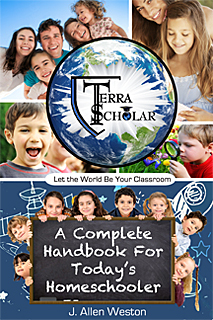 Advertisements - Advertisements from suppliers of products and services of particular interest to Terra Scholars allow for this ebook to be made available to our members for free.